Ever since they were first introduced into the engineering industry, 3D laser scanning has helped engineering firms to highly precise and accurate spatial data of objects, environments and spaces. The engineering firms of today make use of these data for a wide range of purposes, including mechanical 3D modeling. Nowadays such mechanical 3D modeling is used extensively in engineering environments along with mechanical 2D drafting. So let’s have a look at the various benefits of 3D scanning in the realm of mechanical design services. 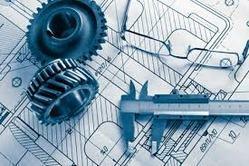 The whole scope of frontend engineering deals with working on the frontend aspects of a particular mechanical project. It is a time when critical changes can be strategically implemented on the project without affecting the project costs in any significant way. Laser scanning at this stage allows in detecting issues such as over trimming, under trimming, warping and performance surface complications. The engineering team rectifies them by editing the CAD data model which includes the scanning information of an object. It is possible to develop the CAD models directly from the scans unlike those drawings that are developed by the traditional surveying methods. Fabrication inspection involves inspection of the fabricated parts like the parts for road signs, bridges and automobiles. The issues experienced commonly by the fabricated parts include improper thickness, warping, under trimming and over trimming. With the help of laser surveying, it is possible to detect the problem areas. Techniques used for the same include color map deviation that shows signs of warping, over trimming and under trimming as well as cross-sectional analysis that helps to identify improper thickness. Other techniques like geometric dimensioning and tolerancing allows track specific measurement taking across multiple parts. Another important benefit of using 3D scanning for mechanical drafting services is retrofitting. It is the process by which older machines used in various plants and facilities are replaced. The method is primarily valued for its cost-effectiveness. A number of different measurements are required before the actual retrofitting process can be started. These include measurement of the parts that connect an existing technology with new technology; the measurement of the other elements within a specific machinery environment as well as measurement of total accessible floor space that is present within machinery’s environment. By using laser surveying, it is possible for an engineering team to gather all of these measurements in one single surveying session.